_ 1. HOW LONG DOES IT TAKE TO GET A DIVORCE? Once a petition for Divorce is filed, if you have minor children there is a mandatory ninety (90) day waiting period before the Divorce can become final.There is a procedure to ask for a waiver of the 90 day waiting period for good cause shown and if both parties agree to the Divorce. If the Divorce is contested, then it could take several months to a year before the case goes to trial. Some cases, depending upon complexity, can take over a year. Mediation can often help settle a highly contested Divorce case. 2. IS MY RELATIONSHIP A COMMON LAW MARRIAGE? Oklahoma law recognizes Common Law Marriage. A Common Law Marriage is just as valid as a ceremonial marriage. If you meet the requirements for establishing a Common Law Marriage, then you will have to file a petition for Divorce to dissolve your marriage. Did you represent yourselves as being husband and wife to your friends, employers, etc? Did your ex use your last name? How did you file your income taxes? Do you have joint bank accounts? These are some of the questions used in evaluating whether you have established a Common Law Marriage. Contact us for assistance if you need help in determining whether you have a Common Law Marriage and need to file for Divorce or Legal Separation. 3. CAN I LIVE WITH MY NEW ROMANTIC PARTNER? Living with a new romantic partner may affect your right to visit your child(ren), and a can be a factor in the custody determination. In Oklahoma, a party may request a Judicial Order of Proper Conduct. This order generally prevents overnight romantic partners in the presence of the minor child(ren). The Judicial Order of Proper Conduct is often included in joint custody plans and divorce decrees. If both parties agree, this requirement may be waived. After a Divorce is final, a party may not remarry for a period of six (6) months. 4. WHAT ARE MY VISITATION RIGHTS IF SHE WON'T LET ME SEE MY KIDS? Your child should have frequent and continuing contact with both parents. If there is an issue of safety during visitation, a parent can ask the Court for supervised visitation. Most counties in Oklahoma have a Standard Visitation Schedule which is supposed to be the minimum amount of visitation. At the Father's Parental Rights Law Center, we believe and advocate that children should spend equal time with both parents. It is important to keep a record of your visitations with your child(ren) on a calendar. You should also document any visitation that you requested but were denied. Your ex cannot deny your visitation because child support payments are behind or are not being made. On the other hand, child support payments cannot be withheld because you are being denied visitation. If you already have a Court Order for visitation in your Divorce Decree or Paternity Decree, then you can cite your ex for Contempt of Court for denying your visitation, and you may also file a Motion to Enforce your visitation rights. 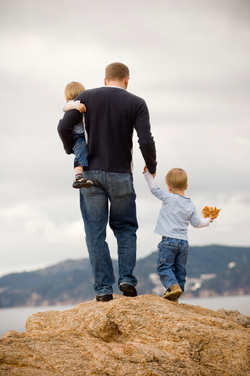 If you do not have an existing Court Order, then you will need to file an action in the District Court for Paternity; Divorce; or Legal Separation.If your ex continues to deny your visitation, you may have grounds for a Motion to Modify Custody.Contact us if you need help enforcing your rights to visit your child(ren). 5. CAN MY EX TAKE MY CHILD(REN) TO LIVE OUT OF STATE? If you have received notice of relocation and you wish to object to the move, you should object at your earliest opportunity. You have the right to have a hearing. The Court will decide whether the proposed move is being made in good faith, or whether it is an attempt to deprive you of your visitation rights with the child(ren). The notice of relocation must include specific information, and many of these notices do not comply with state law. Your Decree of Paternity or Divorce may include the items required in the notice. If you do not object in time, your ex will be permitted to move. If you ex has already moved without giving the notice required by Oklahoma law, you may be able to ask the Judge to order her to return the child(ren) immediately. 6. IF I HAVE CUSTODY, CAN I MOVE OUT OF STATE WITH THE KIDS? The notice of relocation must include specific information, and many notices do not comply with state law so it is helpful to consult an attorney for the necessary language in the notice. Your Decree of Paternity or Divorce may include the items required in the notice. Contact us to for help to ensure that you are providing your ex with the notice required by Oklahoma law. 7. CAN MY EX'S NEW HUSBAND ADOPT MY KIDS WITHOUT MY PERMISSION? Under certain circumstances, the answer is yes! If a couple has been married for 1 year, then the step-parent can ask to adopt the child(ren) of their spouse. This can be accomplished, even over the objection of the biological parent if certain conditions are met. If child support has not been paid by the biological parent for over a year, this is a major factor the Court will consider. Courts also consider whether there has been an ongoing parent/child relationship. Does the parent visit consistently? 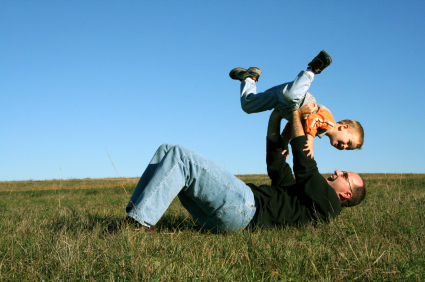 Does the biological parent maintain a parental role in the child's life? If you are facing this situation or are interested in having your spouse adopt your child(ren), please contact us for assistance. 8. WHAT ARE MY RIGHTS IF I AM IN THE MILITARY AND AM DEPLOYED? If you are in the military and are on active duty or deployed, the Soldiers and Sailors Civil Relief Act will protect you from a default judgment if you are unable to appear in court for certain cases. If you were served with a summons, you can ask that the legal proceedings be placed on hold until you return from deployment. Please also see our page on Relocation if you receive orders for a PCS move to a different state and you have primary residential custody of the child(ren). If you do not have primary residential custody, you will need to establish a long-distance visitation schedule to ensure you have an enforceable court order to see your child(ren). A book with information you may find helpful is:Divorce and the Military; A Comprehensive Guide for Service Members, Spouses,and Attorneys, by Marsha L. Thole and Frank W. Ault., published by The American Retirees Association. Ask us about the new law which allows deployed service members to select a person to exercise their visitation while deployed. 9. I GOT A DHS NOTICE, WHAT DO I DO? There are different types of Department of Human Services (DHS) involvement in family law cases.The DHS Child Support Enforcement Division performs Paternity testing and makes orders for payment of Child Support. This type of DHS action does not establish or enforce your rights to visitation with your child(ren). To get a visitation schedule the other parent is legally required to follow, you will need to file a Paternity Action in the District Court. This is necessary even if DHS has already determined that you are the child's father. Until you establish your legal rights, the mother has sole custody. You need to immediately begin paying child support if you are not already doing so. Keep a receipt of all payments. DHS can issue an income assignment for payment or child support and file a Contempt Citation for failure to pay child support. DHS may also seek to have your drivers' license suspended and levy bank accounts for failure to pay child support. You have the right to ask for a review hearing with DHS, and it is helpful to have an attorney to help you in these proceedings. Another type of DHS involvement is a Deprived Child proceeding. This happens when there is an allegation of child abuse and/or neglect made against a parent.The DHS can seek termination of parental rights to a child(ren)! If you or your child(ren)'s mother are being investigated by DHS, please contact us as soon as possible for assistance with your defense. 10. HOW MUCH WILL A RETAINER FEE COST IN MY CASE?